Born in Kinshasa in the 1980s, Sapin is a self-taught popular painter. In his early twenties, he started working in the atelier of Chéri Chérin and soon decided to embark on an artistic career, following in the footsteps of world-renowned Congolese painters such as Moke, Cherin Samba, Pierre Bodo, Shula and others. In his work, Sapin often depicts and comments upon the Kinois social and political life worlds. Yet the topics he deals with are not limited to the DRC. Since his participation in the Biennale de Dakar (DAK’ART) in 2006, his art started travelling around the world: Congo-Brazzaville, France, Belgium, Canada, Austria, Germany, USA, The Netherlands and Chad. Sapin likes to work among people and he has held several painting performances. By placing his easel among a crowd, his painting in the making lures curious observers and becomes a topic of discussion for the passers-by. The performance triggers thoughts and elicits comments which Sapin translates into images. The result is a painted conversation, an exchange between the artist and the passers-by. Sapin has often collaborated with researchers and has been involved in different projects that combine art and academia. 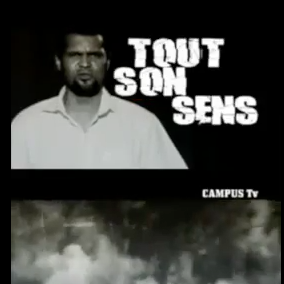 This is the case of the historical documentary “Les Fantômes de Lovanium” on the student revolts of 1969-1971 in Kinshasa, which originated from one of his painting performances. Sapin currently lives in the Netherlands.